Gross Weight Rating 10,000 lbs. This is a Wells Cargo FastTrac car hauler. It’s their entry level car hauler, but it’s certainly not a stripped down unit. It’s loaded with great features that are normally only seen in much higher priced trailers. 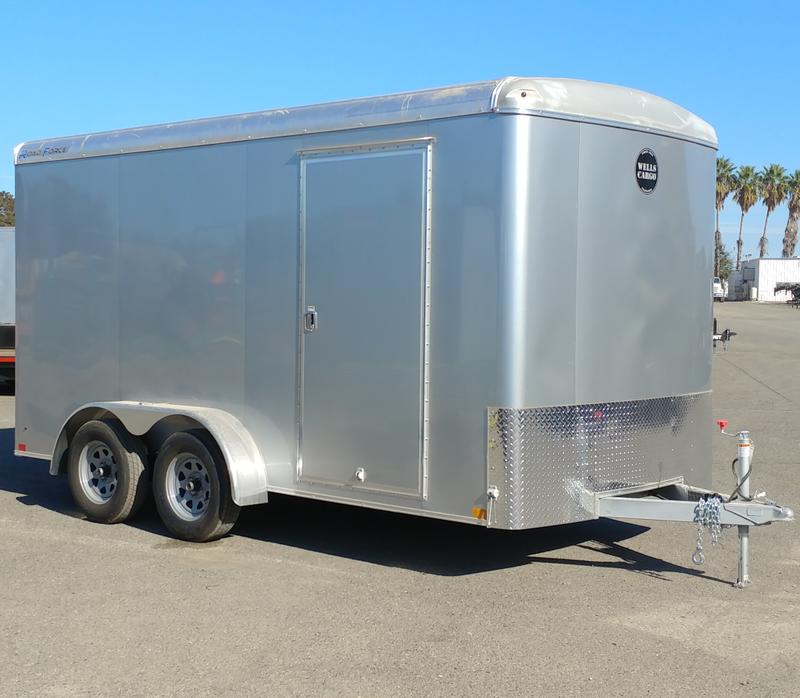 Some of the features included in this trailer are: Dexter 4″ drop axles, 16″ spacing on vertical wall studs, a built-in dovetail, roof vent, LED lights, extended tongue, side wall vents, and 5,000 lb. D-rings recessed in the floor. This car hauler has a side door on the curb side with a built-in step for easy entry. It comes with Wells Cargo’s 3-year warranty. This unit has a 10,000 lb. gross vehicle weight rating, and can be special ordered with a 7,000 lb. rating, and in 16, 18 or 24ft lengths.